This Is the documentary that proves science is wrong and crop circles are real. It is filled with stunning imagery of the circles, and tells their history, going from when they were a worldwide fascination to where our scientific materialistic worldview has closed people’s minds to one of the great mysteries of our time. 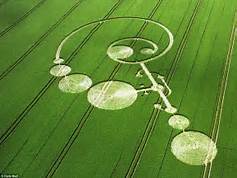 Evidence is presented that challenges the idea that all the glyphs are made by people, and the motives of hoaxers, who make a fair number of the formations, is a subject for conversation. And it speculates about how knowing the circles come from other intelligence would help us think as a planet and give us our best chance to solve the global problems that challenge us now. If we knew there was other intelligence, we would be one humanity in relation to “the other,” and, as someone in the movie says, “That could be what saves this civilization.” Crop circles can be called one of the most fascinating phenomena of our time, but they are also largely ignored around the globe. 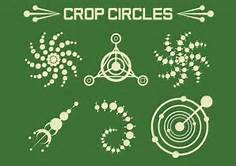 This is a great video for skeptics who find it hard to believe that crop circles are not all man-made. This presentation occurred on the 3 September 2016 at the UFO Research (NSW) Incorporated meeting held at Club Burwood, NSW, Australia.